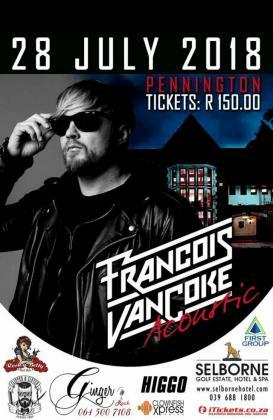 Join us for the Francois van Coke acoustic show in Pennington Port Shepston. Hosted by Selborne Golf Estate and Ginger Rock tickets will be available online at Iticket from 150 per person. All ages welcome. MENU and cash bar available. Limited tickets.